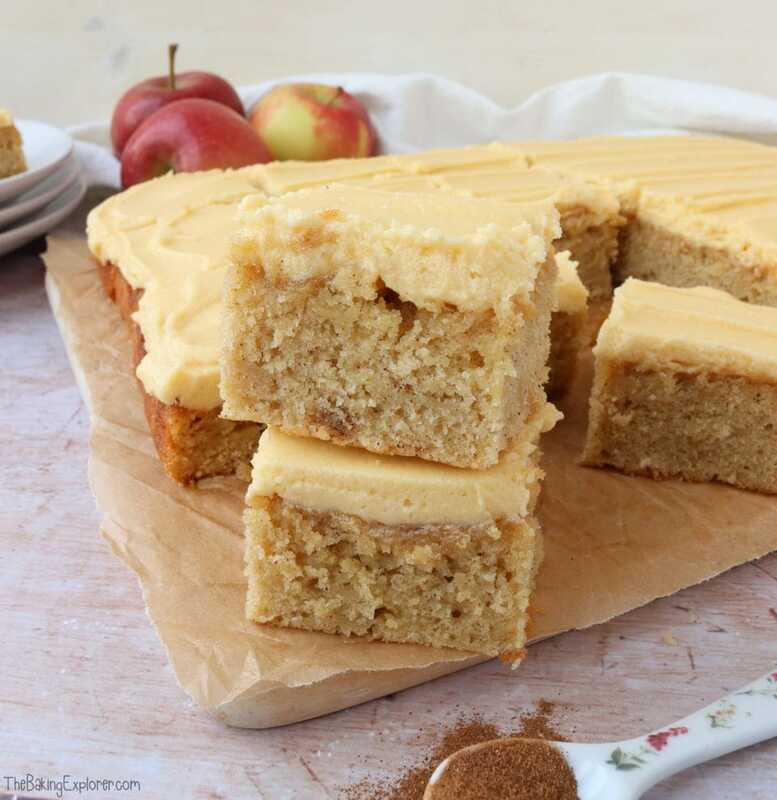 This Apple Cake Traybake is a simple sponge recipe with grated apple and spices to make it super moist and delicious. 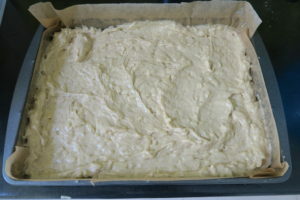 Traybake cakes are so easy to make and decorate, with no comprise on taste. 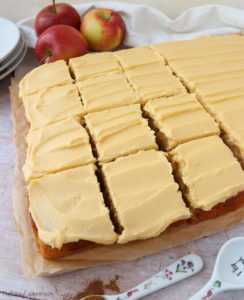 I’ve paired the apple sponge with a sweet caramel buttercream to give the whole cake a toffee apple vibe. 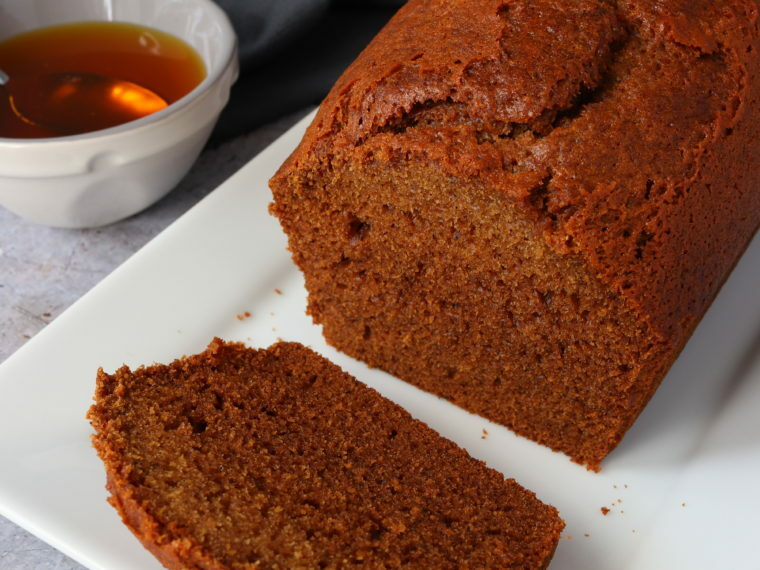 It’s a great cake for autumn in particular, but can be enjoyed any time of the year of course! 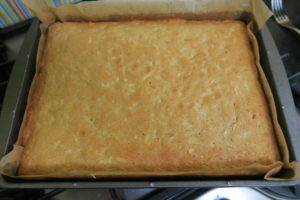 It’d also be perfect for bakes sales and parties as it’s quick and simple to make, and portions easily for a crowd. 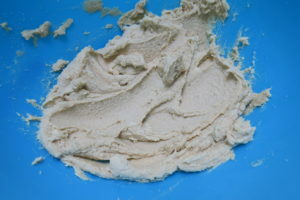 To make the sponge I whisked together butter and light brown sugar. 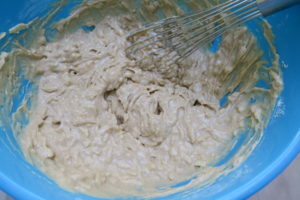 Then I whisked in eggs, followed by grated apple, then flour and spices. 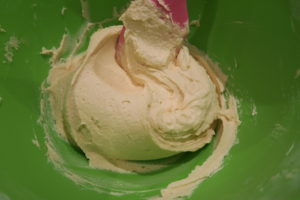 I made a caramel buttercream by mixing together butter, icing sugar and caramel extract. 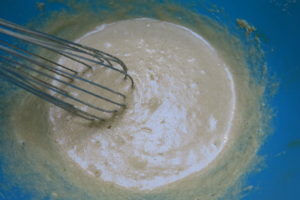 Then I smoothed it all over the apple cake. You can flavour the buttercream with vanilla instead if you like, or leave it out entirely and just enjoy the apple sponge with some custard! 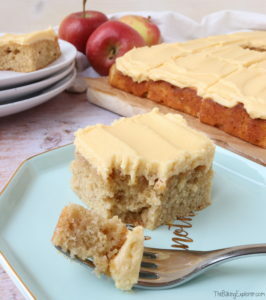 The Apple Cake Traybake is so moist and light and full of flavour! Thanks Stuart! I love seeing how people interpret the theme. Hope your cake club goes well! Love your apple shaped cake – it's the sort of thing I admire but would never attempt. All the other cakes look pretty clever as well. I've been missing CCC as haven't attended one since April, but luckily I'm able to go next week – phew! Thank you! It was easier than you think, the hardest part was applying the buttercream because of all the crumbs!! Hope you have a brilliant time at your next cake club! That cake looks brilliant! I'm always a bit scared of cakes that need carving for some reason. 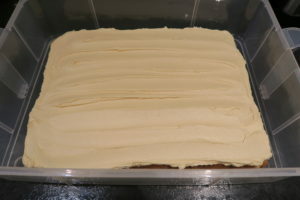 Love the bright red colour you've got for the frosting, looks great! Thanks Kim! I was a bit scared at first but it turned out ok!